I have been especially disappointed with their lack of interest in reforming the American political system through a third political party. 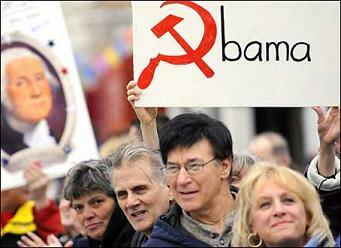 Sometimes tea party people say they are fed up with both major parties, but they keep supporting Republicans. As if this will put people in Congress who would actually act as independents and work courageously to enact true, deep reforms. Call my cynical, but I doubt whether people like Senator Scott Brown will resist pressures to be loyal Republicans no matter how extensively they avoid calling themselves Republicans in their campaigns. Sadly, the tea party movement is a blow to third parties, particularly the Libertarian Party that has struggled for many years. Could some very clever people be using this movement to strengthen the Republican Party rather than transform the political system? If so, then most of the tea party crowd have been conned and deceived. Second, I am nauseated by the noxious negative views about President Obama, even though I did not support or vote for him. Attacks on his citizenship, calls for his impeachment, and labeling him a Marxist seem thinly disguised tactics hiding racism and not an accurate understanding of the facts about him and his policies. To simplify, for example, getting the nation out of the Great Recession requires massive government spending to reboot the economy, a plain fact that virtually every economist over the entire political spectrum recognizes. It does not represent socialist or Marxist principles. Yes, there should have been more spending on directly helping people and small businesses rather than the financial sector, but this does not invalidate massive government spending. Third, the pervasive support for smaller federal government and so many other openly expressed platitudes reveal inconsistencies and outright hypocrisy about what tea party zealots are willing to do to show their true beliefs. I want to see these people proudly professing their commitment to stop participating in social security and Medicare; stop using public schools for their children; stop taking unemployment payments or support for job training; stop using local police and fire departments and public libraries. I want to hear far more support for necessary government functions. Less government does not necessarily equate to better government. With critical thinking tea party zealots must recognize that it was not excessive government action that caused the Great Recession, bur rather too little government action to stem the greedy actions among banks and other financial institutions. The core problem is not excessive government but corruption of government by private sector corporate and other special interests. Yet I hear very little from this crowd about the exact means they would use to eliminate pervasive corruption of the two-party plutocracy. Their glib talk about freedom and regard for the Constitution is not supported by more than empty rhetoric. I would have much more respect for this movement if it embraced the nonpartisan effort by Friends of the Article V Convention at foavc.org to make Congress obey the Constitution and give us what the Founders believed would be a necessary option: An Article V Convention of state delegates that could propose constitutional amendments, true reforms that the corrupt Congress will never propose. Without this there are a whole lot of constitutional hypocrites. Fourth, passionate support for Sarah Palin is appalling. There is no rational basis for such support based on her beliefs, actions and policy positions. She is a blatant numbskull and intellectual midget with damn good looks and speaking skills, but to make her a political leader is disgraceful. In sum, it is heartening to see so many Americans with genuine anger, frustration and disgust about American politics and government. I share these feelings. Great motivation, but what it is producing seems little more than an avenue for racist views and desire to strengthen the Republican Party, which when it had considerable political power did far more to advance corporate interests and the wealthy than helping ordinary Americans. We need a populist Second American Revolution. Populism yes; Republicans and Democrats NO! Recognize this or die still waiting for the change you have been waiting for and suffering with a delusional democracy. See the Article V convention option as the constitutionally provided populist path to true reforms. Demand that candidates openly support making Congress obey the Constitution and give us the first Article V convention. An Article V convention would be the way to have a meaningful tea party that honored our Founders. Joel S. Hirschhorn can be reached through delusionaldemocracy.com; he is a co-founder of Friends of the Article V Convention and former chair of the Independent Party of Maryland.